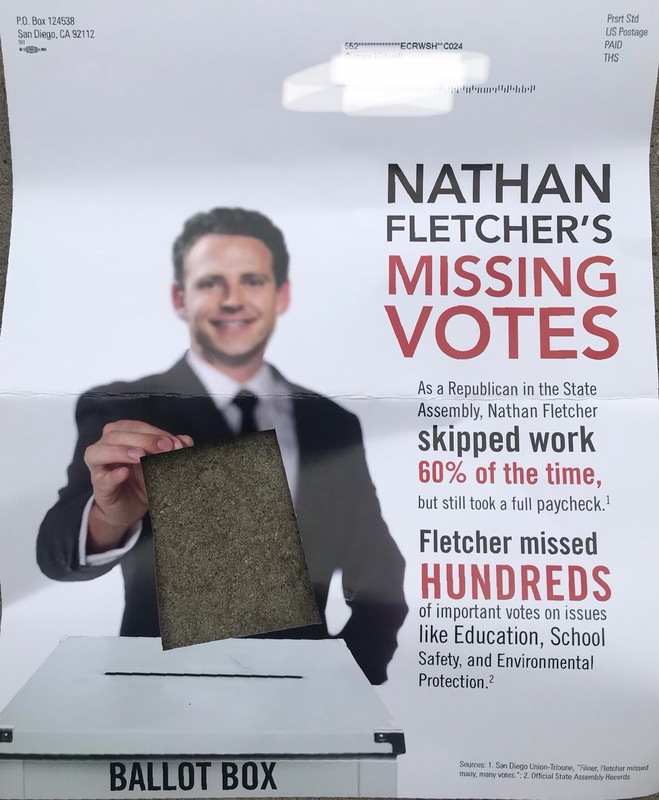 This propaganda piece was created by Job Creators for a Stronger Economy against Nathan Fletcher in the San Diego County Supervisor District 4 election. This piece was mailed without any disclosure. 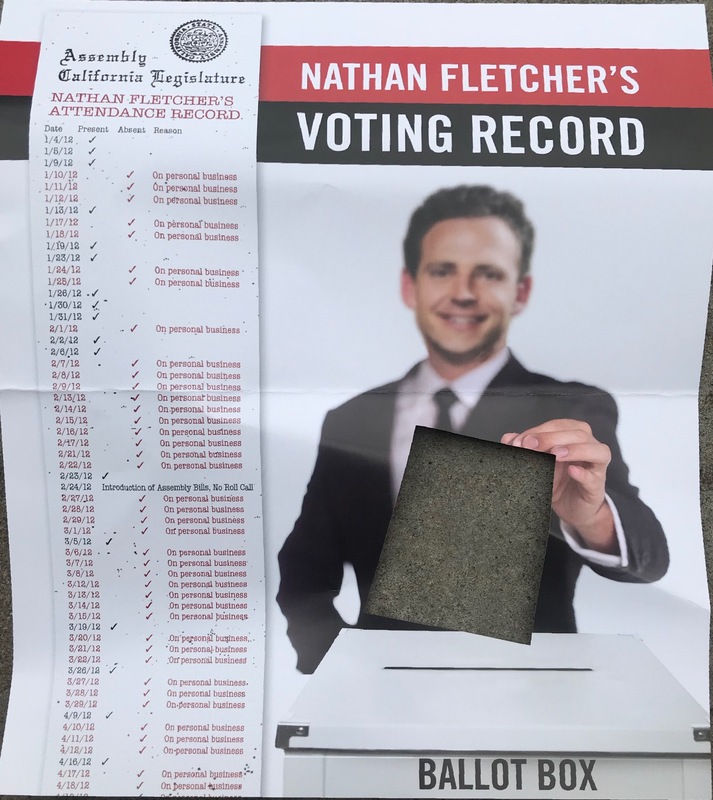 But based on the graphics featured, the same as graphics used in other pieces created by the Lincoln Club’s Political Action Committee, we can deduct that this flyer came from the Lincoln Club. This entry was posted in Literature Piece on May 27, 2018 by administrator.